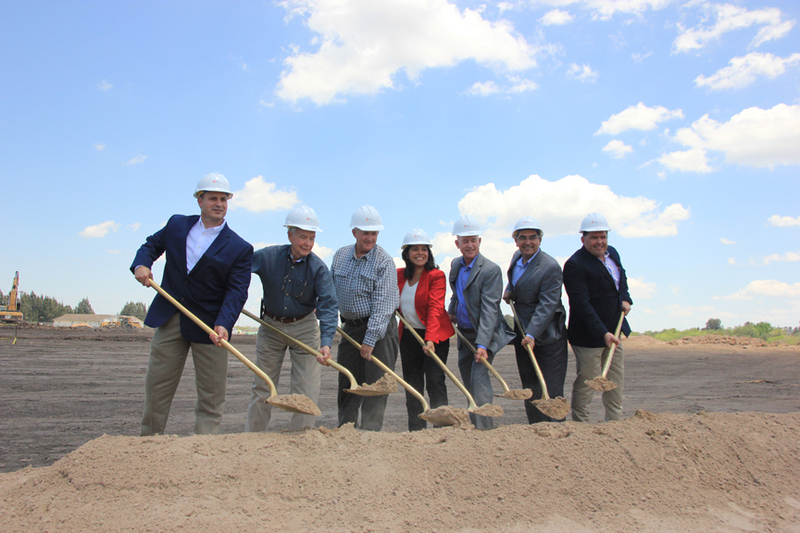 It was a sweltering afternoon last Friday as local dignitaries and officials with American Electric Power (AEP) gathered to break ground on a new $12.3 million service center — one of two new facilities the electric company is constructing in Cameron County. The new facility will lie on 15 acres of ground just off the FM 510 and FM 1847 intersection north of Los Fresnos. Currently, that quiet stretch of country road is home to nothing more than the occasional back roads traveler, but by the spring of 2018, it will be the nexus for a state-of-the-art facility built to withstand category 5 hurricanes, according to Tom Coad, AEP vice president of distribution services during the ground breaking celebration. “We’ll know it’s still going to be here. We may have to evacuate and come back, but we know we can come back,” he said of the facility’s storm-resistant construction. And while the 32,350 square feet facility will be built to withstand the strongest of tropical weather, its design is also environmentally friendly, designated as LEED (Leadership in Energy and Environmental Design) Certified, Coad explained. “We have designed this in order to reduce our carbon footprint,” he said.